Learning how to be more confident is the key that opens up a whole world of opportunities, but how do you do it? This post is the first in a series that will show you how. I’m starting with mindset because I believe it is one of the fundamental building blocks for confidence and self-esteem. 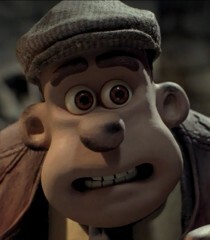 As Mr Tweedy, the hapless farmer from the film chicken run says, “It’s all in your head”. Confident people “suffer” from a wonderful condition called inverse paranoia. Have you ever stopped to notice that confident people rarely suffer from this debilitating condition. Instead, they seem to suffer from a much more positive condition that some people call Inverse Paranoia. STOP – Take a moment and imagine how trying on such a different belief might change the way you think and act. If you are serious about learning how to be more confident, then I need you to spend the next ten days doing one simple thing. Let me know how you get on or if you have any questions, using the comments box below. Finally, if you found this tip helpful, I would encourage you to share it with colleagues, family and friends using the social sharing buttons below.